While New Yorkers yearn for one — just one! 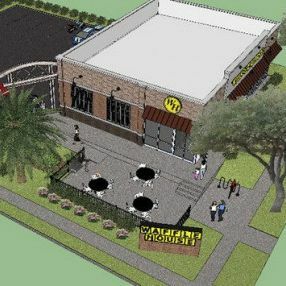 — location of Waffle House, New Orleans residents are getting a super-fancy outpost. A new 1,719-square-foot location will have something totally unique to the chain: a courtyard. “You will see that it’s probably the fanciest Waffle House restaurant you will ever see,” executive Bob Pence told New Orleans’s Mid-City Messenger. In other words: It’s the perfect road-trip destination.